As mentioned in the article THHN vs. XHHW: What Is the Difference?, there are a lot of somewhat confusing abbreviations used on wires and cables. We broke down THHN and XHHW in that article, now let’s tackle RHW, RHW-2, USE-2 and RHH building wire. All electric wires and cables must be labeled appropriately by following the National Electric Code (NEC) guidelines. This way consumers know exactly what type of wire they are using. A rubber outer layer that is very important when it comes to copper cables, especially when those cables are utilized in possible hazardous environments. Like XHHW and XHHW-2, RHW-2 wires are insulated by cross-linked polyethylene (XLPE). Even though the “R” stands for rubber, it also incorporates other neoprene insulations that XLPE falls under. Cables must be able to withstand the elements. The insulation’s length and width determine its heat resistance. The thinner the XPLE insulation, the less resistant it is to heat. Possibly the most important factor when considering the environment of your wire. The “W” means the cables can be submerged in water if needed. Even though the wire has a rubber outer layer and is acceptable for use in damp environments, the “W” designation is required for use in the presence of water and other liquids. 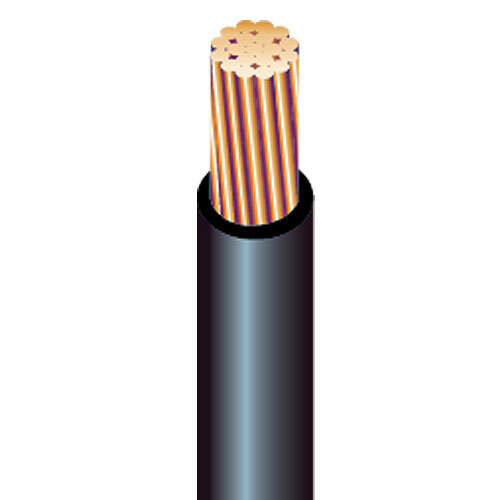 RHW – RHW cable is a wire insulated by rubber or XLPE as mentioned above. RHW cable can withstand heat up to 75° C, and is water resistant. It is acceptable to use RHW cables underground and in wet locations. 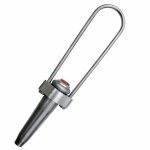 RHW-2 – Having the same inherent qualities as RHW, the NEC lists RHW-2 as having the ability to withstand heats of up to 90° C. RHW-2 cable is suitable for direct burial in both wet or dry conditions. USE-2 cable stands for Underground Service Entrance cable. 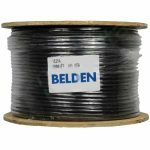 USE-2 cable can be used underground since it is able withstand pressure and is resistant to other elements such as sunlight (black only), oil and gas. USE-2 is a good choice for industrial applications where better insulation toughness and resistance to moisture and heat are desired. USE-2 can be used as RHW-2 or RHH cable at temperatures up to 90°C in wet or dry locations. What does the “-2” stand for? It is a designation used for the 90° C temperature rating. 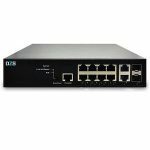 In the past, there was a plain USE, but it is now generally considered obsolete and replaced by USE-2. Very similar to RHW/RHW-2 cable. As mentioned above, the R stands for Rubber – but in this case the extra “H”, or HH in RHH, stands for High Heat resistance of 90° C. The trade-off is that RHH cable does not possess the water resistance characteristic of RHW / RHW-2 cable. Similarities: Both RHH and RHW / RHW-2 cable hold a 600 V rating. Both cables can be found in lighting, power systems and general wiring applications – depending on the location and environmental conditions. Fortunately, at Multicom we stock many sizes of RHW-2 or RHH – Building Wire with a wide range of jacket colors, custom-cut to your order, or sold by the spool. Also see: THHN vs. XHHW: What Is the Difference?